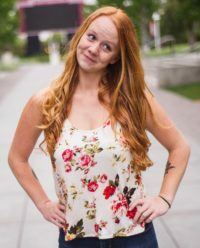 I had come from working in the service industry, where the hours, expectations, and responsibilities are regimented by a clear organizational structure and highly regulated by actively involved management teams. Working from home was definitely an adjustment for me. Now, I was suddenly responsible for creating my own schedule, accomplishing tasks, and meeting deadlines with very little immediate oversight. I’ll admit, in the first few months I struggled managing my time, maintaining my focus, and communicating effectively with my team. In my new role, I was responsible for prioritizing and managing my own time on the job. 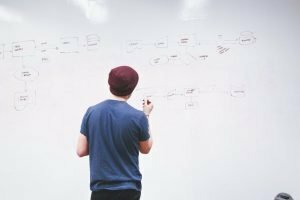 For the most part, I was able to choose what my schedule looked like during the week and what projects I would accomplish in a day. In the beginning, this often meant that I would sleep in late or treat myself to a longer lunch, and then have to stay up late finishing incomplete tasks. And while I was able to pull all-nighters in college, post-grad my work-life balance didn’t appreciate the way I was building my days. A home office also comes with unique distractions – TV, social media, refrigerator, laundry, dogs, bed, etc. Staying disciplined can be tough and there’s definitely a learning curve. For instance, I learned very quickly that while working in my pajamas might sound great in theory, I couldn’t get work done in bed because I would fall asleep (le duh). However, it’s important to note that work distractions aren’t limited to telecommuters. I know plenty of people who pass their time in the office on Facebook or Snapchat! An article in the Harvard Business Review showed that the number of people who said they can’t concentrate at their desk increased 16% from 2008 to 2014. So, how does a remote work environment affect productivity in organizations? According to a recent Gallup report, 43% of employed Americans say that they spend at least some time working remotely. 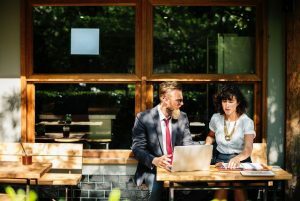 Obviously not all industries allow for this kind of flexible work environment, but researchers do believe that this number is bound to increase as our business landscape continues to change and evolve. 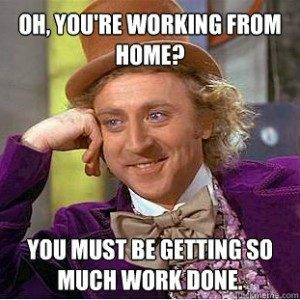 Interestingly enough, Gallup also found that the most engaged employees actually spend 3-4 days working from home. I have a flexible schedule that allows me to balance my day and work week in a way that works with my lifestyle. I have the freedom to make my own workspace and utilize resources and tools that really work for me. I have a greater level of independence. I still work closely with and report to my administration team, but this schedule has given me the confidence and autonomy to make decisions myself too. Finally, I am very lucky to have an extremely supportive and experienced team that helps me find strategies that help me to be successful and fulfill our organization’s goals. Create a work environment for yourself that enhances your focus and productivity. If you need a quiet place to work, then maybe don’t work out of a coffee shop. If you need other people working around you to help you feel motivated, don’t work from home alone – instead join a coworking space or meetup group. Establish a structure that works for you. My schedule might change day to day but I still draft a daily and weekly to-do list that helps me stay organized and keeps me on track. To-do lists might not be your thing, and that’s totally okay, but do find a way to organize yourself and your time so that you can get work done! I still find that I work best when I’m with the other members of my team. If you can, arrange to work with your team or a partner at least one day out of the week. You don’t have to check into an actual office space in order for these work days to be effective – video calls and old fashioned phone calls can be just as helpful! Before this job, I spent very little time thinking about the way that I communicated with others, especially through technology. I was terrible at responding to text messages, rarely sent an email, and hardly spent any time talking on the phone the old fashioned way. You can improve your communication with your team by utilizing tools like group messaging and apps like Quip to collaborate and keep track of deadlines or projects. Find an Accountability Partner. This is a person who helps you to follow through on your goals and commitments. Choose someone that is responsible, that you can trust, and that you feel comfortable receiving constructive feedback from. Discuss your strengths and opportunities for growth, agree on a plan of action, and check in regularly with each other. 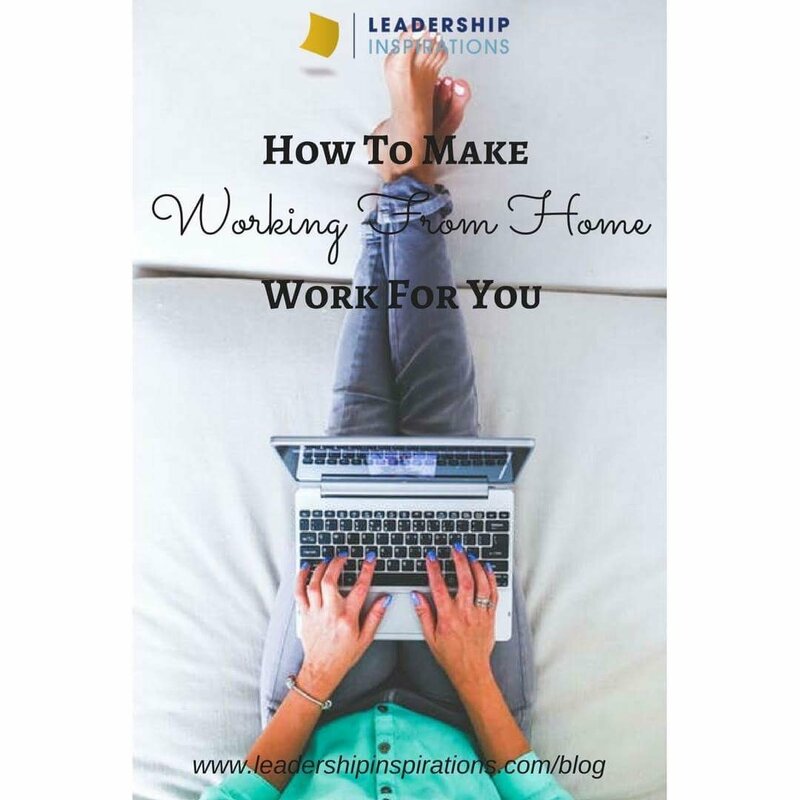 When you work from home, it can be difficult to separate your professional and personal life. Make sure that you give yourself time to live life at home too! Whether that’s spending time with family, doing chores around the house, cooking meals, or watching Netflix – these activities help you to balance work and play. Set boundaries for yourself. It can be something as simple as only checking work emails between 9am and 5pm or giving yourself an hour long lunch everyday out of your constructed ‘work space’. Give some of these tips and tricks a try at home! Take the time to find something that really works for you and share your own strategies with everyone in the comments!